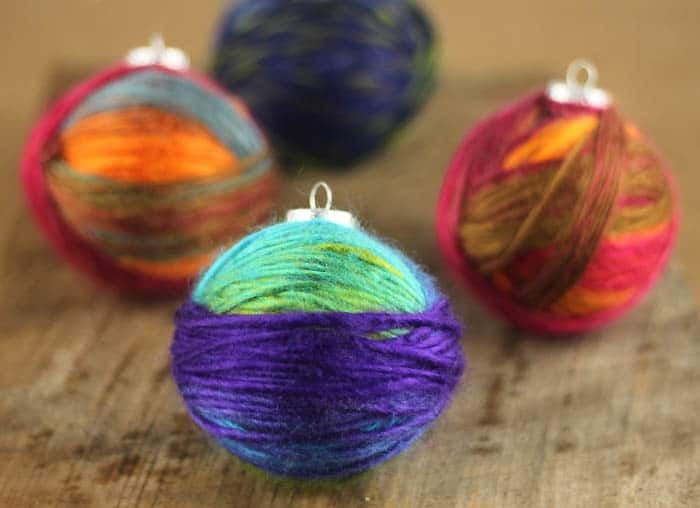 DIY Yarn Wrapped Christmas Ornaments- a scrap busting holiday project! 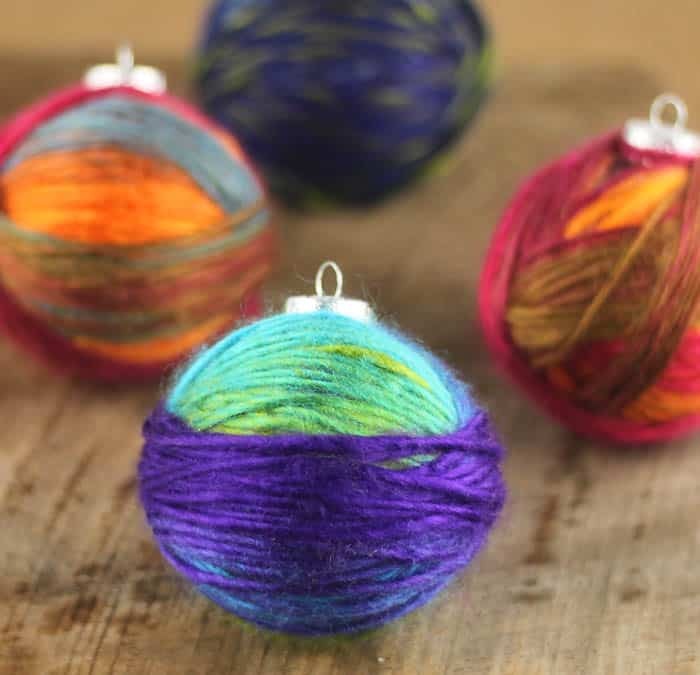 I love making Christmas ornament crafts and I’ve been doing it every year since I was a kid. This season I bought boxes of those clear glass ornaments they sell at craft stores. These are so great for personalizing and the options are endless! 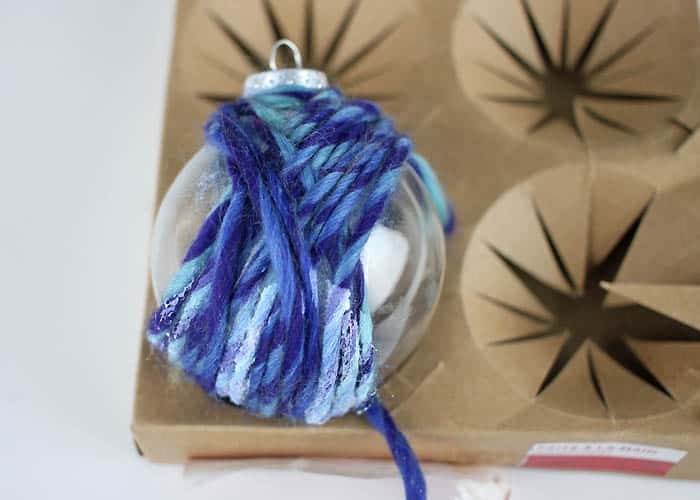 For this DIY I decided to wrap the glass balls with leftover yarn (hello #ScrapBusting!) This took a little experimenting to get the technique figured out (the yarn kept slipping off the balls). 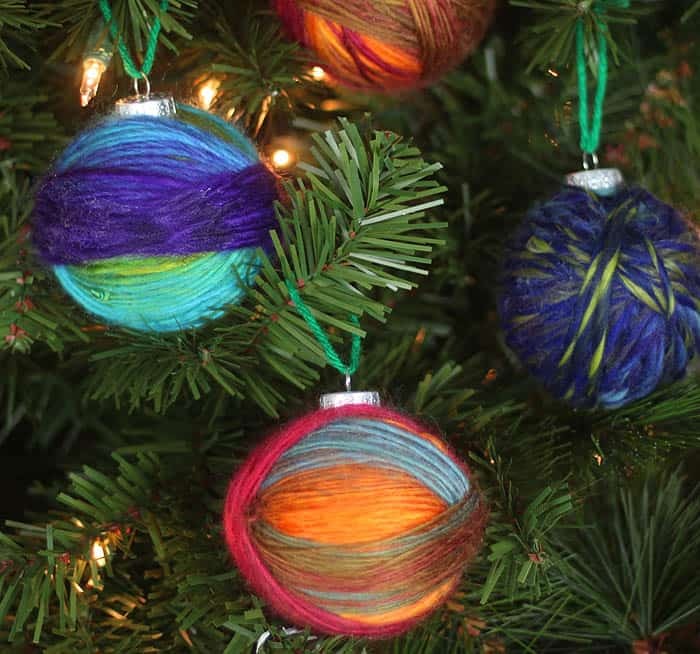 Once I got it down, these ornaments were really easy to make. The best yarn for this project is worsted weight and personally, I think the variegated colors look prettier and more interesting than the solid. 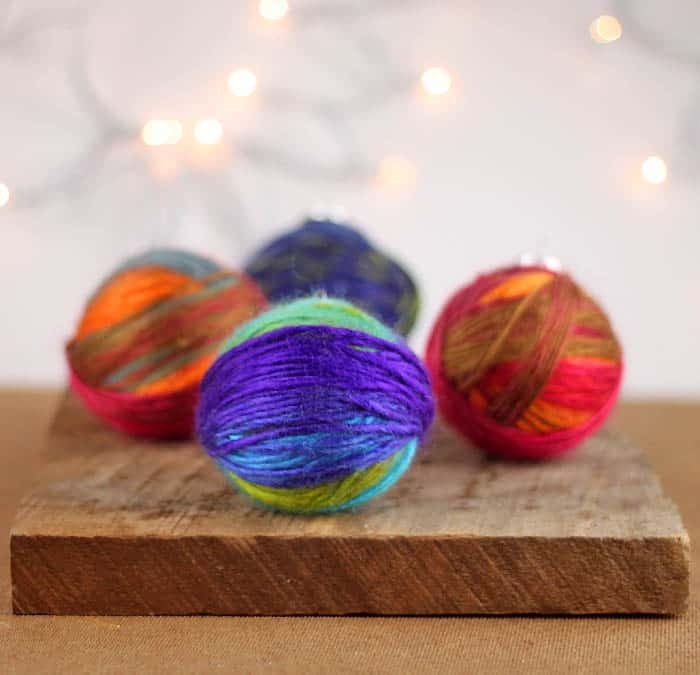 Break out your scrap yarn and let’s get crafting! 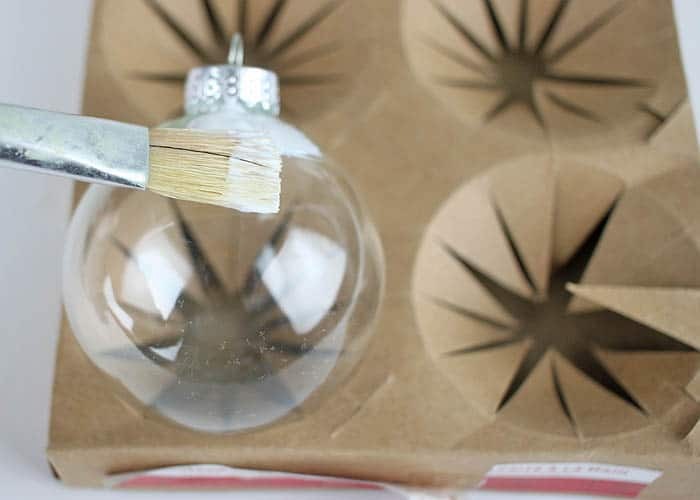 Brush some Mod Podge around the ornament. I kept the Mod Podge away from the bottom so I would have someplace to hold it while I wrapped the yarn. Wait a few minutes for it to get tacky. 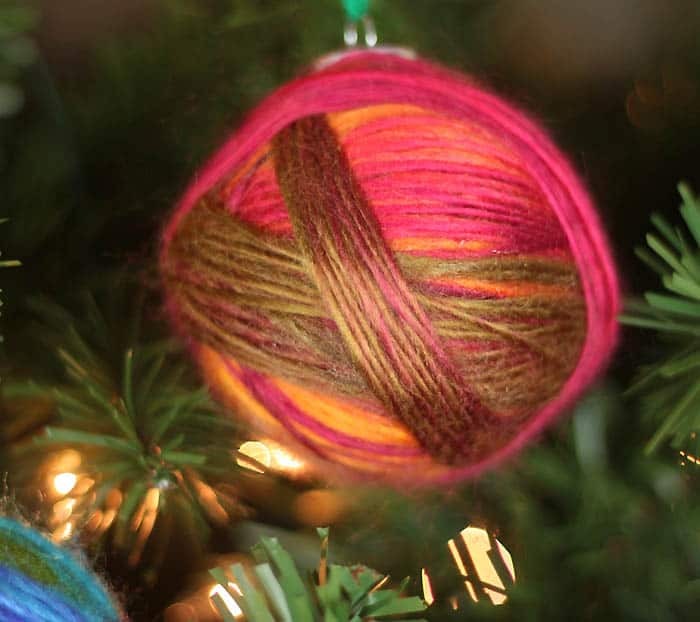 Starting at the top, wrap the yarn around the top and the bottom of the ornament. 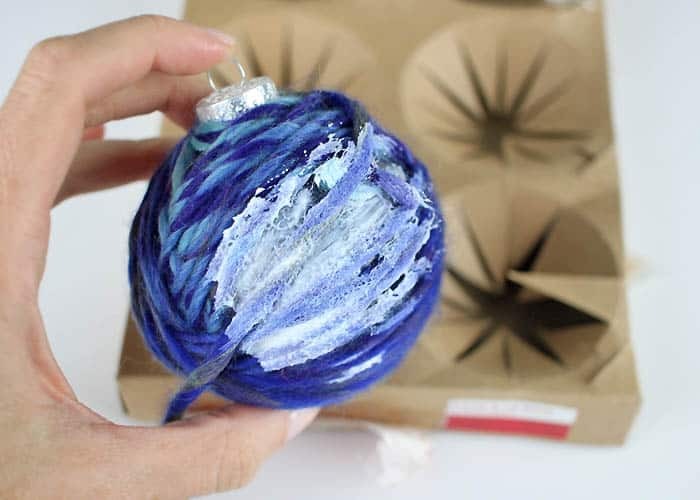 You can add more Mod Podge as you wrap. 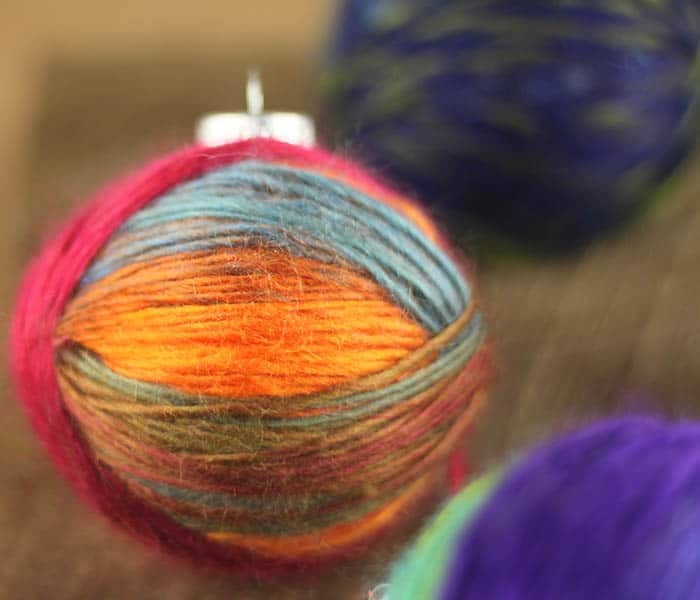 Don’t worry about getting the Mod Podge on the yarn- it dries clear. Let the ornament dry for about 15 minutes. This will give the yarn time to secure so you can wrap in other directions. Next, wrap the yarn around the sides, adding more Mod Podge. Let the ornament dry for about 15 minutes. Wrap in any direction where the glass is still exposed. Add some Mod Podge to the end of the yarn to secure it. Silly Putty DIY- 2 Ingredients, NO harsh chemicals! How to Sew an Envelope Pillow- video tutorial included!